The country's tobacco supply is about to get a radical makeover that will put an end to unique brand features and standardize all packaging — part of an effort to reduce the number of smokers by making the products less appealing. The new federal regulations are poised to take effect within the next year, pending the outcome of further consultations — a timeline tobacco companies are already calling "unrealistic" and an "extreme measure" that will simply bolster the supply of contraband cigarettes. "We're shocked and confused by the new regulations," Eric Gagnon, the director of regulatory affairs for Imperial Tobacco, said in an interview with CBC News. "We can't understand how this government can justify legalizing marijuana and providing a reasonable framework for the marijuana industry while imposing such extreme measures on the tobacco industry." While the government has promoted the legalization of cannabis as the best way to put an end to black market control over the sale of that drug, Gagnon said the government is taking the opposite approach with tobacco — all but forcing smokers to turn to contraband sources to procure cheaper smokes with the features they've come to expect. "The discrepancy and hypocrisy is mind boggling," he said. Health Canada is mandating that all cigarette packages be entirely plain, with "matte, dark, drab brown" as the base colour for all brands. With logos banned, the name of a particular brand can only be printed in a standard font along the bottom. The government also is demanding tobacco manufacturers do away with so-called "purse packs," which are "thin and slim" and hold longer cigarettes often preferred by female smokers. To that end, the government is also banning what it calls "glamorous" cigarettes that are longer than 100 millimetres. Floral and satin "tipping" — using designs or colour to embellish the tip of a cigarette — also will be banned. Gagnon said it's "ridiculous" to think these new regulations will actually reduce smoking rates. "Everyone is aware of the health risks and cigarettes are already hidden from public view," he said. "A small but vocal group of extremists (has) taken over the regulations process without considering the negative impact these measures could have." Manufacturers also will have to revert to a "slide and shell" packaging format — in which the cigarettes slide out of the pack at the top — rather than the flip-top sealed packages that now commonly used to preserve the freshness of the tobacco. 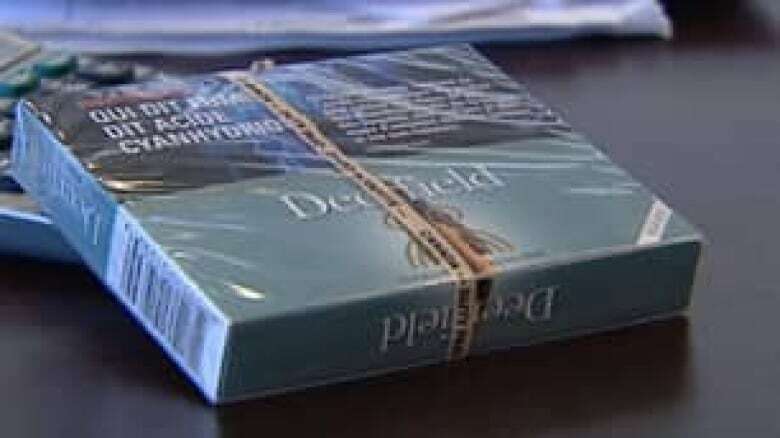 Gagnon said it's going to be nearly impossible for tobacco firms to comply with these regulations in the time available because most packaging manufacturers have already done away with the equipment needed to produce the slide-and-shell packs — which he said are now used almost exclusively by the contraband tobacco market. Peter Luongo, managing director of Rothmans, Benson & Hedges, one of the country's top tobacco manufacturers, said that while the regulations were not entirely surprising — the government has long telegraphed these changes would be put in place — the ambitious timeline will be difficult to meet. "Our biggest concern is that they're requiring us to use standardized slide and shell packaging on an extremely aggressive timeline which might just be logistically difficult for the industry to implement and could result in disruptions in the marketplace," he said. Defenders of the changes have said these new regulations will make smoking less appealing by all but eliminating the uniqueness of particular brands, and help end an "epidemic" of tobacco-related deaths — which the government suggests number more than 45,000 per year. "Packages with novel openings and shapes are often perceived as being more contemporary and modern and packages with rounded or 'beveled' edges, or with octagonal shapes, convey stylishness, elegance and class," a government document supporting the draft regulations reads. "Given the strength of tobacco addiction and the severe health consequences that can result from tobacco use, it is imperative that additional measures be taken to prevent tobacco initiation and use, particularly among young persons." 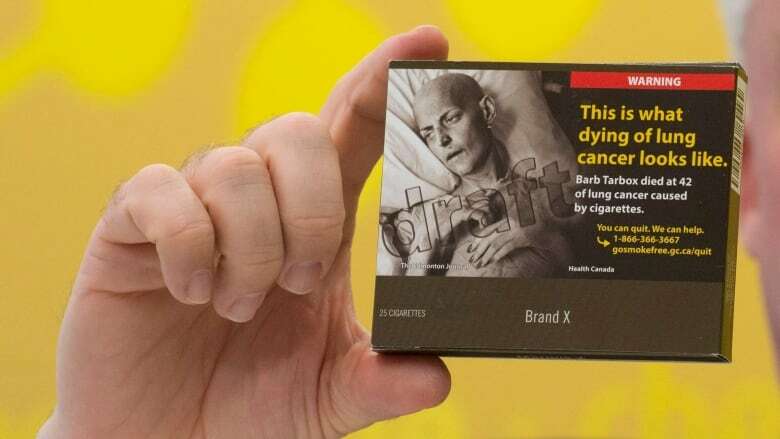 The Canadian Cancer Society championed the government's new regulations, calling them the "world's best" plain packaging requirements and arguing that they will help protect the country's kids from the tobacco industry and, over the long term, reduce the number of deaths. "Tobacco is addictive and deadly and should not be sold in packages made to be more attractive. Tobacco packaging should not function as mini-billboards promoting tobacco use," Rob Cunningham, a senior policy analyst for the group, said in a statement. Cunningham has defended the usefulness of plain packaging in the past — noting that if the tobacco industry really thought the regulations would be ineffective in reducing smoking rates, it wouldn't be fighting so aggressively to stop them. Gagnon said Imperial Tobacco, which produces popular brands like du Maurier, Pall Mall, Peter Jackson and Player's, is still considering legal action to protect its intellectual property rights if it cannot convince the government to back down on some of its proposals during the coming consultation phase. "Going to court with the government is never something that we want to do, or something we take easily, but if we don't get heard I think it's one of the options that we will have to consider," he said.